Nice product, gentle, maybe a little to gentle for me. 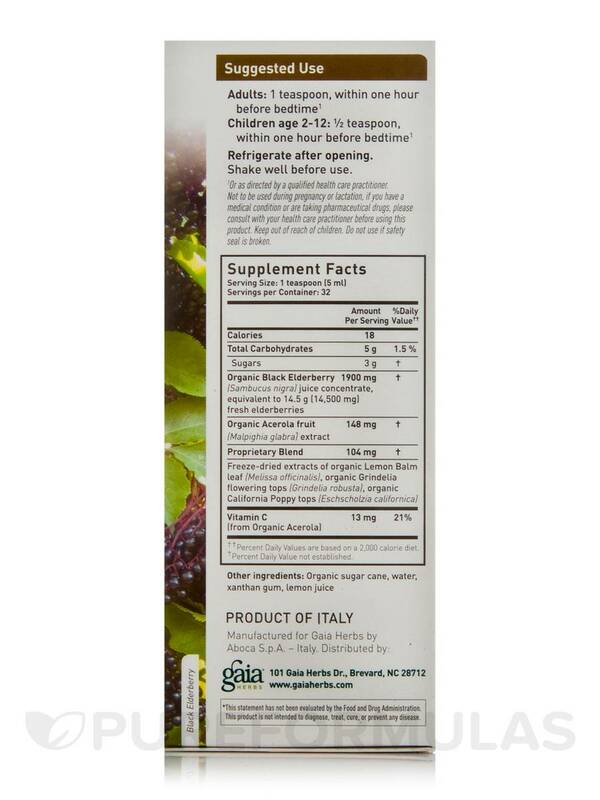 This Black Elderberry NightTime Syrup by Gaia Herbs is an excellent brand and I have friends who use this consistently for their kids as well. 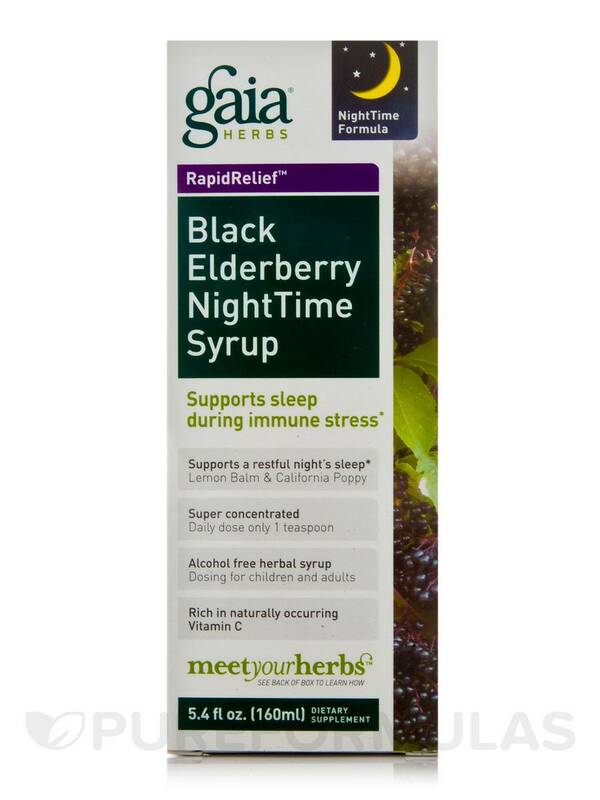 Experience the antioxidant benefits of elderberry with Black Elderberry NightTime Syrup from Gaia Herbs®. It may help you maintain a heart healthy lifestyle‚ boost immune functions‚ and guard the body against outside threats. The juice of elderberries or Sambucus Nigra contains bioflavonoids and other proteins to help deal with microbes causing cold and cough. Elderberries are rich in tannin‚ organic pigments‚ amino acids‚ carotenoids‚ and vitamins A‚ B and C.
Black elderberry may enhance immune responses and boosts the production of the cytokines. It may also help regulate immune response and defend the body against conditions. It may also help preserve cellular health due to its antioxidant benefits. High in vitamin C and flavonoids‚ acerola in this supplement from Gaia Herbs® reduces oxidation in cells. Its vitamin C content appears to be gentle and absorbs easily. California poppy helps support nervous system‚ combats stress and promotes restful sleep. With soothing properties‚ grindelia may promote respiratory support and help in normal production and removal of mucous. Lemon balm promotes relaxation‚ healthy immune system response and sound sleep. 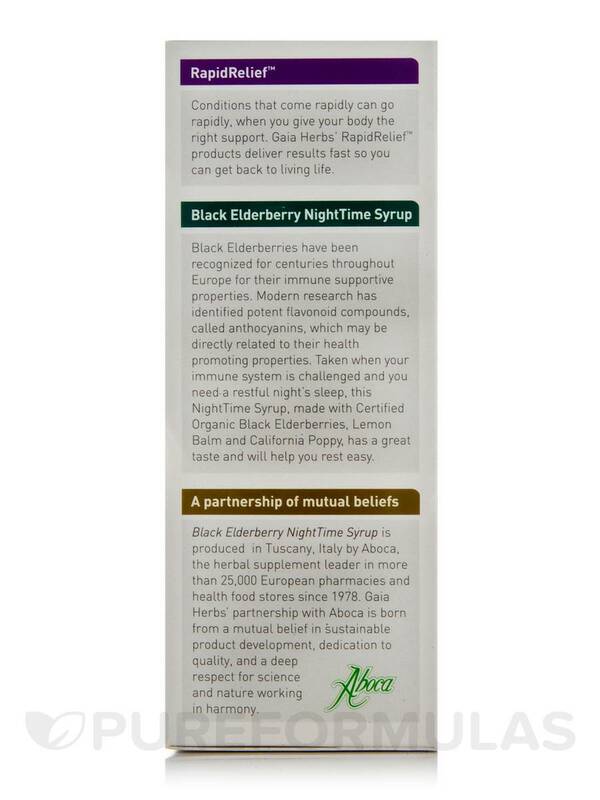 Consult your health practitioner on including Black Elderberry NightTime Syrup from Gaia Herbs® to your everyday routine and explore its numerous health benefits. Freeze-dried extracts of Lemon Balm Leaf***(Melissa Oficinalis)‚ Grindelia flowering tops***(Grindelia robusta)‚ California Poppy tops***(Eschotzia Californica). ***Certified Organic according to EU Regulatiom 2092/91. 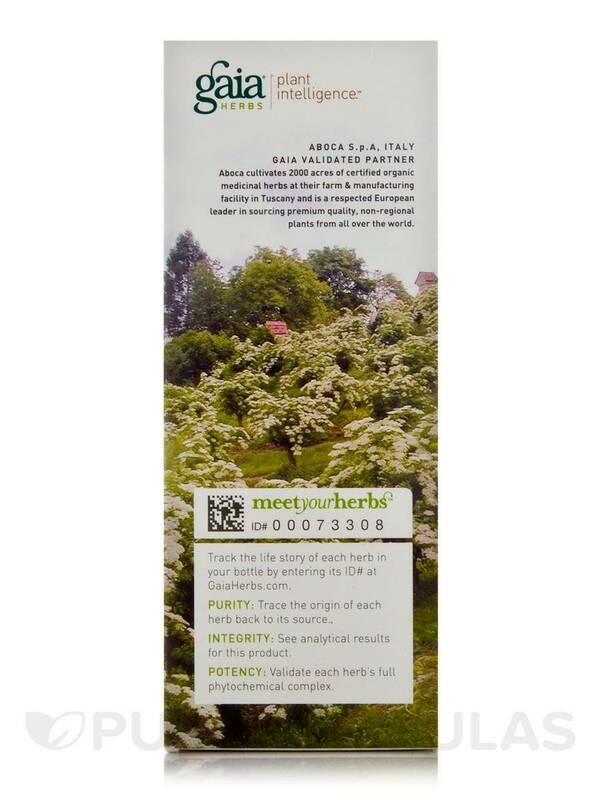 ****Juice concentrate equivalent to 14.5g(14‚500mg) of fresh Elderberries. *Or as directed by a qualified health care practitioner. Not to be used during pregnancy or lactation‚ if you have a medical condition or are taking pharmaceutical drugs‚ please consult with your health care practitioner before using this product. Keep out of reach of children. Do not use if safety seal is broken. Not to be used during pregnancy or lactation‚ if you have a medical condition or are taking pharmaceutical drugs‚ please consult with your health care practitioner before using this product. 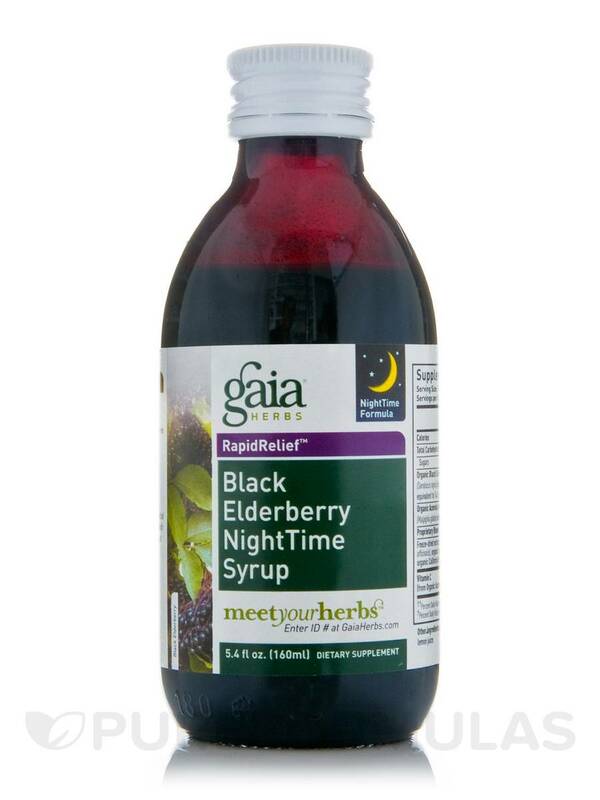 Bought Black Elderberry Night Time Syrup by Gaia Harbs because I was struggling with a scratchy throat and sniffles after a transatlantic flight. I'd not heard of it before, just picked it up off the shelf and read the box. No only did it help my immune system, also helped me sleep. No groggy side effects. Love it! This is great. When I notice something coming on I take a tsp of this before bed. Love that I can give it to my daughters as well. Just bought the daytime elderberry syrup as well, great ingredients!